Email Scam to hack ICICI Bank Account details - "Last account activity shows that your net banking has been recently accessed from an unauthorized location"
Today I received an email which says it was send from ICICI Bank's helpdesk. Basic intention behind the email was to hack the ICICI banks account details including the ATB card number and pin. The contents in the email was genuinely looking as it was from ICICI bank. Also the links provided in the email pointed to sopme webpages which was looking exactly like icici web user portal. The subject of the email was "alert @ icicibank.com"
Please check the attached file and match your exact information as in our record. © Copyright ICICI Bank © All Rights Reserved. There was an HTML attachment "Net banking.htm"
may have been accessed from an unauthorized computer. This may be due to changes in your IP address or location. and that is why your account will be put on HOLD . safe-banking Protect your PIN by standing close to the ATM and shielding or cover the key pad with your other hand when entering your PIN. Interesting thing is, all these fraud pages looks similar to ICICI Banks User portal web design. So there are chances that people might think it was genuine. What to do if you had disclosed your banking details in response to fraudulent emails or phone calls? So please be aware of these type of Scams and save yourself from falling prey to these fraudulent emails and calls. 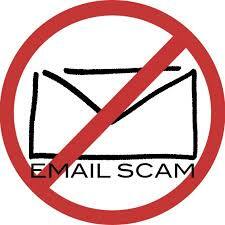 Banks never asks for any of your account info on emails or via phone calls. If you receive any calls from persons claiming that they are from any of the banks, You are not supposed to disclose any of your Bank account details to them. People easily fall prey to this sort of genuine looking scams. So it is your responsibility to be more cautious to this type of fraudulent acts. Never entertain such calls. You should report this type of activities to your bank.